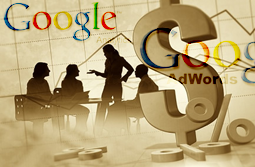 Advanced segmentation is a feature in Google Analytics that lets you segment all your data in a profile. It is a tool you can use to slice and dice your Analytics data with great precision. 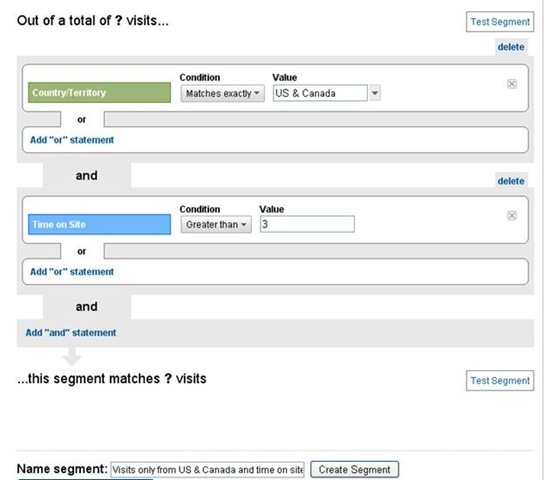 Advanced segments allow you to choose what types of visits you want to be considered when generating the data for a report. 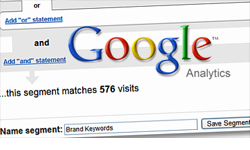 In other words, with Advanced Segments, you can quickly isolate and analyze subsets of your traffic. 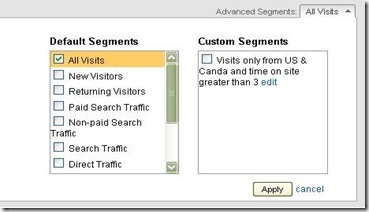 You can create an advanced segment that only includes visits that meet a specific set of criteria. 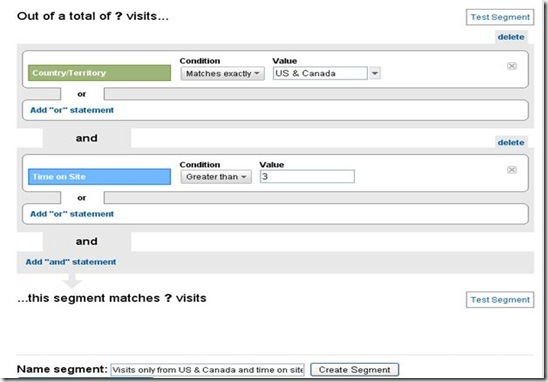 For example you can create an advanced segment that only includes visits from a certain geographic region. To apply an advanced segment, select the desired website profile and simply Click Advanced Segments on the top right of the Dashboard and select the segments you want. The Default Segments are predefined, so you don’t have to do anything to use them except to select them. The 'All Visits' segment under Default Segments is enabled by default as well. How to create an Advanced Segment? Let’s create an advanced segment that includes visits only from US & Canada and Time On Site greater than 3 minutes. Begin by clicking the Advanced Segments pulldown on the top and then click 'Create a new advanced segment'. To include only visits from US & Canada first look for the metric 'Country/Territory'. It’s usually easiest to type what you are looking for into the search box, but you can also browse the complete list of metrics and dimensions. Now, drag the desired metric into the work area. Now select the conditions 'Matches exactly and specify 'US & Canada'. Similarly to set the condition 'Time on Site' greater than 3 minutes, add an “and” statement by dragging the metric 'Time on Site' and select the condition 'Greater than 3'. You can combine one or more logical statements to define a segment. By clicking 'Test Segment', you can see the visits that meet the condition. The segment will now appear in the 'Custom Segments' area of the Advanced Segments pulldown. On applying one or more advanced segments, you can see the data for the segments throughout all of your reports. Another advantage of advanced segment is that you can also change the date range and see the segments applied to historical data. The segments remain applied until you deselect them or you logoff or 'view reports' on another account or profile. 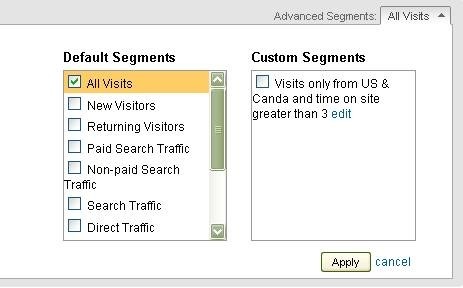 So if you have not yet tried advanced segmentation in Google Analytics go ahead and log into Google Analytics and create some advanced segments. The realizations you can begin to undestand will astound you! Thanks Rifa for letting us know about the usage of advanced segmentation feature. This post definitely helped me to analyze the data from different perspective and thereby make necessary improvements.